Primary gateway for some 12 million immigrants to US from opening in 1892 to closing in 1954. Site became part of National Park System by Presidential Proclamation in 1965, and reopened to public in 1990 as nation's principal museum devoted entirely to immigration. US Supreme Court in 1998 case of New Jersey v. New York held that nearly 90% of the island territory of New Jersey, including portion on which Main Building located. 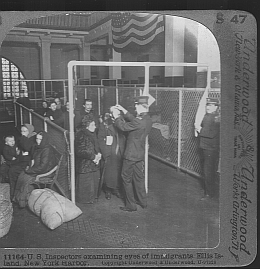 Main Building restored to its 1918-1924 appearance, houses National Museum of Immigration with exhibits of artifacts, photos, oral histories along with Peopling of America Center chronicling immigration to America before processing station opened in 1892 and after it closed in 1954. Access by ferries from Liberty Park in Jersey City and Battery Park in Manhattan from 9:30 am until last departs Island at 3:30 pm, with extended hours in summer and around holidays. Open daily except Christmas Day. Site of winter encampment of December 1779 to June 1780 of General Washington and the Continental army. 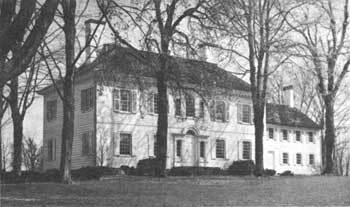 Ford Mansion built in 1770s by iron manufacturer as family home who also served as colonel in the Morris County militia during Revolution, served as Washington's headquarters. Washington's Headquarters Museum built in 1930s as New Deal project under Works Progress Administration designed by noted architect John Russell Pope, who also designed Jefferson Memorial in Washington, houses artifacts from stay and Revolutionary period. Grounds include soldiers' huts, field hospital, parade ground. Entrance fee $7 for those aged 15 and older, also several fee-free days scheduled throughout year. Museum open 9:30 AM to 5:00 PM Wednesday through Sunday; closed Monday and Tuesday as well as Thanksgiving, December 25, and January 1. 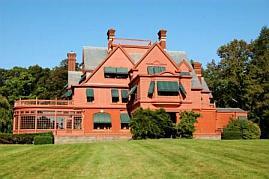 Ford Mansion tours at 10 and 11 AM, 1, 2, 3 and 4 PM Wednesday through Sunday. in garage 1922 Model-T auto that Edison's close friend and former employee Henry Ford gave him. 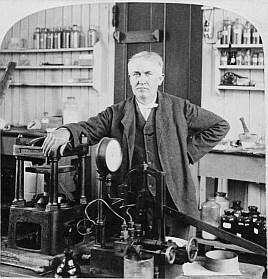 In West Orange, Edison invented motion picture camera and improved phonograph developed at Menlo Park.. One of first research and development labs in world, at peak workplace for many of Edison's 10,000 employees. 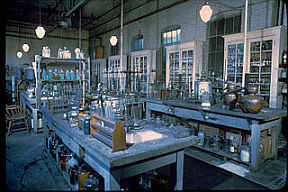 Site includes laboratories, workshops, replica of world's first motion picture studio, the Black Maria, with New Jersey sites such as local railroads and Atlantic City featured in early films. 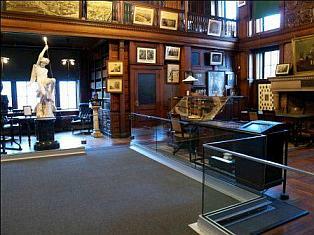 Archival collection includes over 300,000 artifacts, 5 million documents. Laboratory Complex open Wednesday through Sunday 10 AM - 4 PM, closed Thanksgiving, Christmas and New Year's Day. 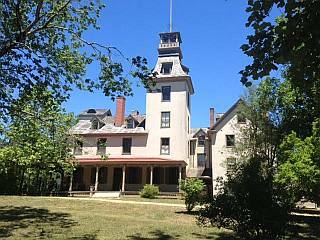 Glenmont open Friday, Saturday and Sunday during spring, summer and fall; tickets and passes to home available at Laboratory Complex Visitor Center and must be obtained before visiting home. Entrance fee $10 includes laboratory and Glenmont, under 16 years old free. 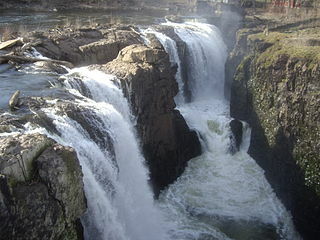 Commemorates industrial and labor heritage of Paterson, with roots to establishment in 1792 by Alexander Hamilton and others of Society for Establishing Useful Manufacturers, with goal of using water power for manufacturing from 77-foot high Great Falls on Passaic River (second highest waterfall in East after Niagara Falls). Later mills and factories produced cotton and other textile fabrics, railroad locomotives, paper, rope, jute, rope, hemp, firearms and powered looms for silk spinning and weaving. Rogers Locomotive Works became second largest maker of locomotives in mid-19th century, its first locomotive, the Sandusky, made its initial trip in October 1837 from Paterson to Jersey City and New Brunswick and back, another of its locomotives one of two present at Promontory Point "golden spike" ceremony in Utah upon completion of transcontinental railroad in May 1869. One of Rogers buildings now houses Paterson Museum with permanent exhibit of textile machinery, Holland submarines, and Colt firearms. At end of 19th century, Paterson became known as "Silk City" for extensive mills with thousands of workers, primarily recent immigrants, 1913 Silk Strike gained national attention, Park includes Botto House, center of labor leaders and now labor museum. Welcome Center open from May 15 to November 10 AM to 4:30 PM. No entrance fee. 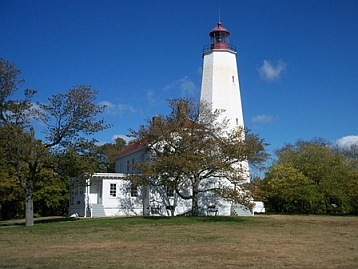 Established by Congress as nation's first National Reserve by National Parks and Recreation Act of 1978, Secretary of Interior subsequently approved preservation plan prepared by state Pinelands Commission pursuant to Pinelands Protection Act, state legislation initiated by Governor Brendan Byrne authorizing strict controls over development in 1.1 million acres in portions of seven southern New Jersey counties with 56 communities and some 700,000 residents. About two-thirds of land remains under private ownership, public lands include parks, forests, wildlife refuges, and parts of military bases Fort Dix, McGuire Air Force Base and Lakehurst Naval Air Station. Known for cranberry and blueberry production. Extensive trails, lakes, rivers, historic sites include Batsto Village former ironworks village dating from colonial period. Kirkwood-Cohansey aquifer contains estimated 17 trillion gallons of some of purest water in US. No entrance fee except for state parks and recreation areas. Comprises 67,000 acres along Delaware River in Pennsylvania and New Jersey. Over 100 miles of hiking trails include 27-mile portion of Appalachian Trail; riverfront beaches at Turtle Beach and Waterfront on New Jersey side; canoe and kayak rentals and launching sites. 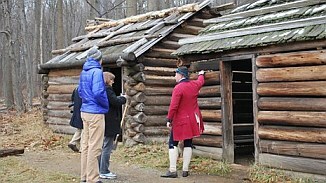 Historic sites include Millbrook Village, origins from grist mill built in 1832 and Old Mine Road, one of oldest commercial roads in country begun mid-1700s to connect Hudson River and Philadelphia to Pahaquarry Mines in New Jersey and assist New Jersey farmers in taking crops to markets. In 1960s and 1970s, area site of proposed Tocks Island Dam as major water supply and electric power source, but project ended following decision by Governor Byrne in 1975 to oppose construction in favor of smaller reservoir, pipeline projects. Millbrook Village buildings open for viewing only on weekends throughout summer from 10 AM to 4 PM. 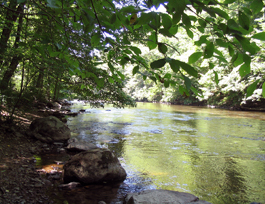 Delaware River within Area also designated as as part of National Wild & Scenic Rivers System. 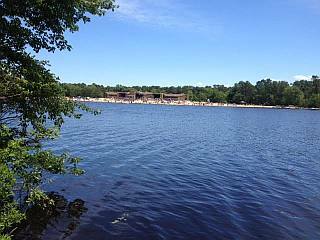 No fee to enter Recreation Area, but fees charged April through October at developed recreation areas in park. Area in Morris County, about 26 miles west of Manhattan, site of proposed major jetport in 1950s, opposition by local officials and conservation groups led to 1960 federal legislation designating it as wildlife refuge, named by National Park Service in 1966 as registered National Landmark under Historic Sites Act of 1935. Now one of over 560 refuges in National Wildlife Refuge System administered by Department of Interior's US Fish & Wildlife Service managed specifically for protection of wildlife and its habitat. Consists of 7,768 acres of varied habitats, resting and feeding area for more than 244 species of birds, along with fox, deer, muskrat, turtles, fish, frogs and wide variety of wildflowers and plants. 746 acres in eastern portion declared a Research Natural Area by Fish & Wildlife Service contains natural shrub swamp habitat and many small upland islands. Western section of 3,660 acres managed to maintain a Wilderness character while providing habitat for wildlife. Nearly 12 miles of foot trails; three wildlife observation blinds; and one wildlife overlook. Nature Detective 1/8-mile self-guided trail located at Helen C Fenske Visitor Center with interpretive stops oriented to children. Open daily year-round from sunrise to sunset except for weather hazards or special events. No camping, fishing or boating allowed. No entrance fee. Comprises 47,000 acres of southern New Jersey coastal habitats actively managed for migratory birds in Atlantic Flyway, one of nation's most important paths of seasonal bird migration. Created in 1984 out of two existing refuge parcels separated by 20 miles in Ocean and Atlantic County, named after late New Jersey Congressman Edwin B. Forsythe. Barnegat Division (established in 1967) in Ocean County on inland side of Barnegat Bay; Brigantine Division (established 1939) approximately 10 miles north of Atlantic City along south bank of mouth of Mullica River. Administered by US Fish & Wildlife Service. Visitor Information Center with interactive displays, video presentations, monitor of real-time Osprey nest camera, and Nature Store operated by nonprofit Friends of Forsythe volunteer group located at refuge headquarters in Galloway. Points of interest include Wildlife Drive, 8 mile self-guided tour of saltwater marsh, freshwater habitat, and upland forest known internationally as birding “hotspot”; observation towers with telescopes located at Gull Pond and Turtle Cove; Leed’s EcoTrail & Boardwalk winds through forest and provides visitors with overview of salt marsh ecology; Osprey nest overlook with interpretive panel describing life cycle of Osprey; Songbird Trail 5-mile route through upland forest offering views of different species of birds. Visitor Information Center open weekdays 10 AM to 3 PM, weekends: 9 AM to 4 PM; closed holidays. Refuge open from sunrise to sunset. 2,174-mile long footpath traversing Appalachian Mountains from Springer Mountain, Georgia, to Mount Katahdin in Baxter State Park, Maine, includes 72 miles in New Jersey with elevations from around 350 to 1,685 feet. New Jersey section enters state from Pennsylvania at Delaware Water Gap in Worthington State Forest, heads northeast through Stokes State Forest and High Point State Park, then proceeds east just below border with New York State through Waywayanda State Park in Passaic County until crossing Hudson River into New York. Trail conceived in 1921, built by private citizens, and completed in 1937, trail now managed by National Park Service, US Forest Service, Appalachian Trail Conservancy, along with several state agencies and many volunteer organizations. No fees except for overnight campsites and shelters. In 1992, 129 miles of river and its tributaries designated by US Congress as part of National Wild & Scenic Rivers System, nearly all within Pinelands National Reserve. Longest canoeing river within Pinelands, can be paddled for 47 miles. River flows from suburbs southeast of Camden near Berlin and continues south of Atlantic City Expressway, gradually widening as it picks up waters of 17 tributaries, entering Great Egg Harbor on Atlantic coast approximately 5 miles southwest of Atlantic City. Tuckahoe River enters Great Egg Harbor just to south of mouth of river. Name given by Dutch explorer Cornelius Jacobsen Mey (namesake of Cape May) who In 1614 visited inlet on coast and noted prolific shorebird and waterfowl eggs, calling it "Eyren Haven" (Egg Harbor). National Park Service lists river as one of top 10 places in North America for birding. River noted for tea-colored "cedar water," product of iron and tannin content of fallen cedar leaves along length. Fish populations include striped bass and alewife herring. "Musconetcong Wild and Scenic Rivers Act" signed by President Bush in 2006 designated 24.2 miles of river as component of National Wild and Scenic Rivers System. Classified as "Partnership River" under which several municipalities coordinate management with National Park Service. Located in Highlands region in northwest New Jersey, major tributary of Delaware River, drains 157.6-square-mile watershed area. Limestone geologic features present in river corridor unique in region, historic hamlets include Waterloo Village, Stanhope, Asbury and Finesville. Known for trout fishing, canoeing, kayaking. Pronounced as "morris." Added in 1993 by US Congress to National Wild and Scenic River System along with several tributaries—including Menantico and Muskee Creeks and Manumuskin River. 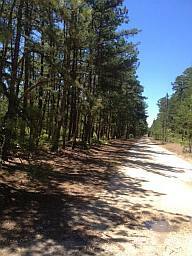 Serves as western boundary of Pinelands National Reserve, path includes municipalities of Vineland, Millville, Maurice River, Commercial and Buena Vista. Serves as supporting habitat for birds migrating in Atlantic Flyway and site of New Jersey's largest stand of wild rice. Fish include shortnose sturgeon and striped bass, flows through former oyster harvesting town. Added in 2000 to National Wild and Scenic River System, Upper Delaware within Delaware Water Gap also separately designated within system. Delaware largest free-flowing river in eastern US, provides habitat for American shad, striped bass, and river herring, also component of Atlantic Flyway migratory bird route. 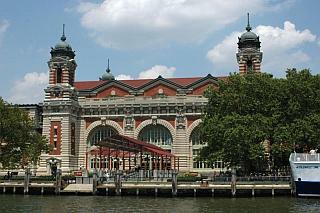 New Jersey riverfront includes divided sections in Warren, Hunterdon and Mercer Counties, passes Marble Hill Natural Area and Morris Canal National Historic Landmark in Phillipsburg; Frenchtown; Lambertville; Delaware & Raritan Canal State Park; and designation southern end at Washington's Crossing State Park north of Trenton. Route followed in 1781 from encampment at West Point in New York by Continental soldiers under George Washington and from Newport in Rhode Island by French forces commanded by Comte de Rochambeau which culminated in surrender on October 19, 1781 by Lord Cornwallis of British troops at Yorktown, Virginia, effectively ending major armed conflicts of Revolutionary War. 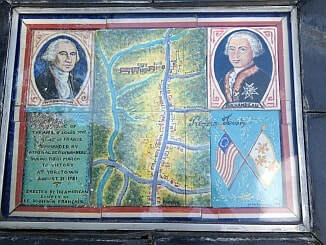 Upon entering New Jersey, Continental Army split into two columns and headed on parallel roads through Springfield and Chatham and ultimately for Bridgewater, Princeton and Trenton. French march included stops at Whippany, Morristown, and Millstone, until joining Washington's forces to camp at Princeton before proceeding to Trenton. 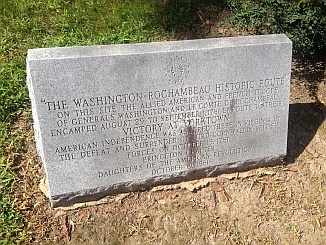 Washington and Rochambeau went ahead of troops to meet with Continental Congress meeting in Philadelphia, where they joined to cross Delaware River to Pennsylvania and continue south to Virginia. Route includes selected markers of significant stops of armies. Established in 1988 as partnership project by National Park Service in cooperation with state and other public and private organizations. 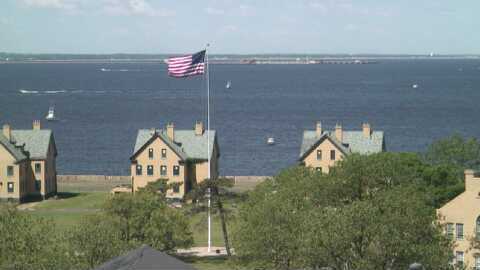 Promotes travel along 300-mile road route on coast from Perth Amboy on Raritan Bay to Sandy Hook, then south through counties of Monmouth, Ocean, Atlantic to Cape May and along Delaware Bay to Delaware Memorial Bridge. Welcome centers located at Fort Mott State Park (off State Route 49 between Salem and Pennsville in Salem County near Delaware Memorial Bridge) and Ocean View Tourist Information Center on Garden State Parkway in Cape May County north of Cape May.